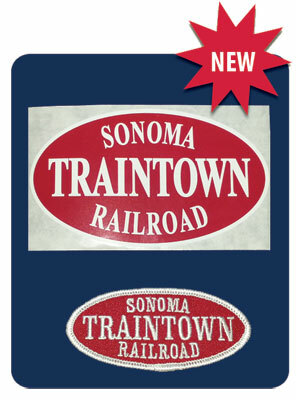 Custom Train Stickers | Brooklyn Peddler | Fine railroad novelty items and other fun things including the best wooden train whistle made! Love your logo? We can now print custom decal-style stickers showing off your logo in various sizes and shapes, any way you like. We can even make a sticker to match an embroidered patch, as shown here.